Let is design and build the kitchen of your dreams. Contact us for a competative quote today. Let is design and build the bathroom of your dreams. Contact us for a competative quote today. Let is design and build your office, shop or workspace exactly how you want it. Contact us for a competative quote today. Let us design and build the bathroom of your dreams. Contact us for a competitive quote today. 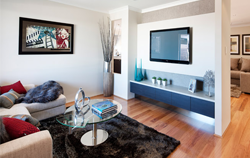 We are Sydney's leading designer & manufacturer of custom kitchens and joinery. Our factory is based in Minto, NSW and we proudly service the entire Sydney and Greater Metropoliton areas, Southern Highlands, Sutherland Shire, Woollongong, the Blue Mountains, right through to the Northern Beaches. For all full kitchen orders placed now until the end of the month for Sydney metro areas will get free delivery! Mention you saw this on our website when you call to take advantage of the offer. 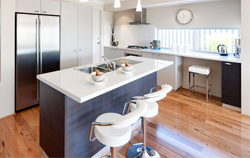 At J&H Quality Kitchens - we only use the best of the best. There are many substitutes in the industry, but we have seen suppliers come and go and have made a firm commitment to only using quality products in everything we do. Here are a few of our featured suppliers.